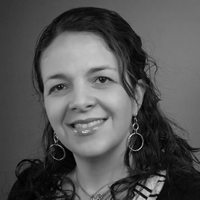 Maria Bolivar is a Customer Experience designer at Kohl's where she designs e-commerce user experience across different channels. Her background includes interaction design, video and animation for over 7 years. Over the last couple of years she has been using Axure extensively to craft innovative and easy to use web, software and mobile solutions. Her focus on user experience emerged from research in graduate school on the interaction between human behavior and technology. This resulted in the creation of large-scale, reactive spaces where users engaged with technologies in new ways.